The club, the Morris Register, has been in existence since 1960 and in it’s current guise since 1968. A potted history is available. A national committee manages the normal running of the club and key officials can be contacted by e-mail or phone. As well as a host of local and regional events, details of which are in the members area, the club also organises or participates in a number of national events. The Pre 1940 Morris Register Limited, is a company which was incorporated in August 2010 to act both as administrator of the Club (Morris Register) and custodian of members’ assets vested in the Club. The company is governed by the Companies Act 2006 and is a Private Company, limited by guarantee and with no share capital. All Morris Register Club members (and spouses/partners, if they are signatories on membership forms) either joined the company on annual membership renewal in April 2011 or on subsequent membership application. The company has devolved management of the club (Morris Register) to a National Committee, elected annually from the club’s membership. Directors – John Ford, Jim Riglar, Steve Gant, Jane Nathan, Rob Symonds (NOTE: All Directors are subject to election annually at each AGM). 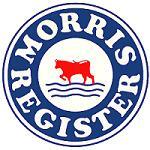 Both the the familiar club logo (Mark) and the words “Morris Register” (Mark Text) have been granted Trade Mark status, thus preventing their unauthorised or opportunistic use by others.